Netflix proved itself once again to be a major player in the TV world this week, bagging the first-ever win for at the Emmy's for an online television show. It wasn't the big one – Breaking Bad nabbed Best Drama - and it wasn't quite the sweep that some were expecting either, as Netflix show Arrested Development was nominated but failed to win anything. 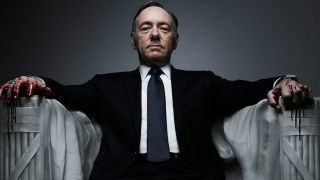 But David Fincher won for Best Director for House of Cards and for Netflix this win will certainly be enough to qualify its lofty ambitions to be the new HBO. Will Netflix ever be able to compete on this level? As Kevin Spacey's Frank Underwood says in House of Cards: "That's how you devour a whale. One bite at a time."